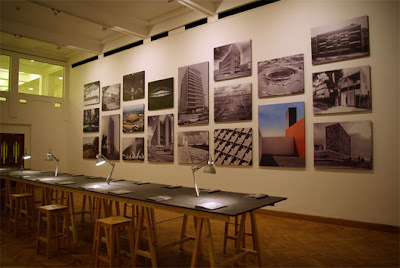 The exhibition Mexican Modernisms, starts with the assumption that there is not one single homogeneous history of modern architecture in Mexico but rather a complex and multiple set of narratives and productions. In spite of the efforts by theorists and historians to construct a canon, whether one built around monumentalism, site, ideology and revolution, exceptionality or an adapted modernism, the history of Mexican modern architecture can better be grasped as an array of fragments that explain the diverse and heterogeneous production of over 50 years of design and building. These fragments seem to be the most productive way to reconstruct a reasonable curiosity in forms of architecture that have relevance beyond their specific historical condition. In this essay, four fragments are presented as possible explanations for this prolific and diverse production. These fragments expose a crack which is already hinted at in the title of the exhibition, and which is the disengagement in Mexico between the technical, economic and social modernity from that of the architectural modernity. This is what sociologist Nestor Garcia-Canclini has called the paradox of an "exuberant (cultural) modernism with a deficient (sociopolitical and economic) modernization." The origins of this paradox can be traced more specifically to the beginning of the 20th century and the way that the Mexican Revolution served as the ideological underpinning for a new relationship between culture and social transformation. In 1910, Mexico was entering what would become a 10-year revolution to transform the existing country’s social, economic and political institutions. 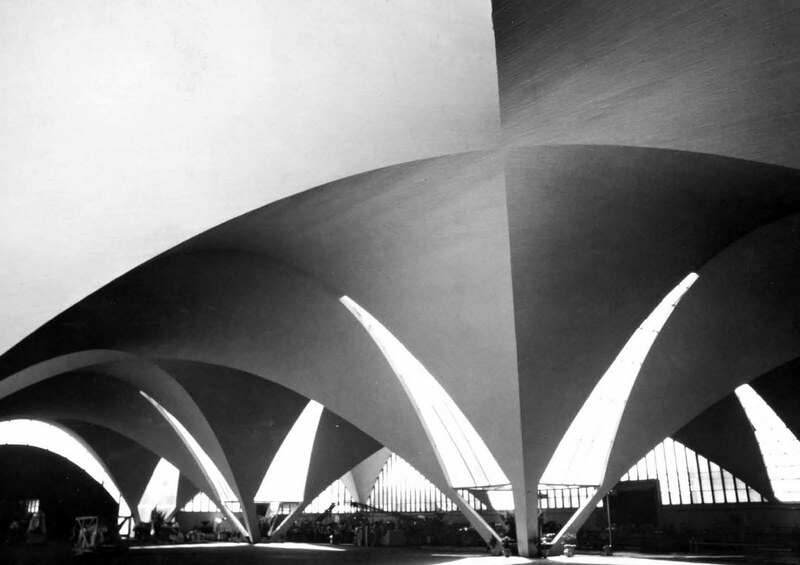 The armed movement and the turmoil that followed were certainly a traumatic event and only after 1921, could a stable condition be found for modern architecture to flourish in Mexico. The 1920’s became a decade of transition, of political and social adjustment and the time where culture would start to play a more active role in the agenda of modernization. Diego Rivera, who had spent time in Europe in touch with avant-garde artists and ideas of the time returned to Mexico and began influencing other artists and architects in assimilating and adapting these ideas to Mexico’s context. In architecture, the dominant trend of Beaux-Art compositional and aesthetic approaches would eventually be substituted by a modern sensibility. Juan O’Gorman’s house and studio for Diego Rivera and Frida Kahlo in San Angel, built in 1929-1930 became the paradigm of this new approach: A stripped-down building which according to Rivera could become a new original aesthetic for the specific context of Mexico. 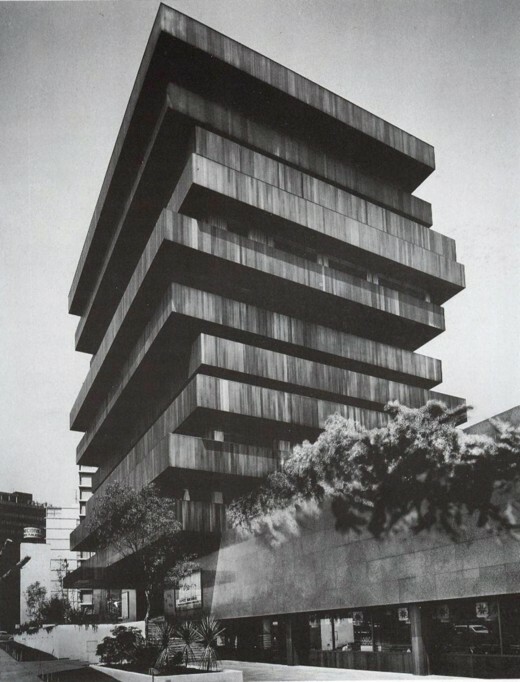 Probably more than any other building, It is emblematic of the conflicts and issues that Mexican architecture dealt with in the 20th Century, one where “the eternal conflict between self affirmation and xenophilia”, as Fernando Gonzalez Gortazar has called it, is constantly played out. 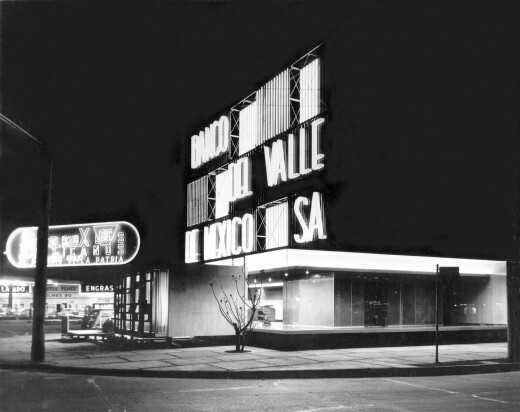 Much has been said about the way that Mexican architecture over the 20th century has mediated on the one hand local character and the search for a local identity, with the strong influence of the 20th century avant gardes and the international language of modern architecture of Europe and North America. 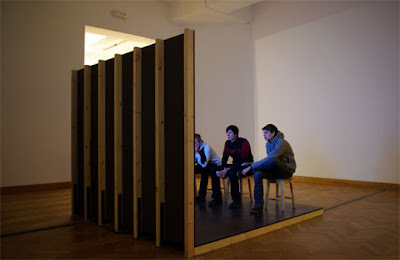 This mediation, or dialectic is at the core of the production of architecture in Mexico, and it took many guises during the 20th century, from the influence of foreign voices and migrations, to adaptations and translations of ideas and iconographies, to disenchantments and forms of resistance. 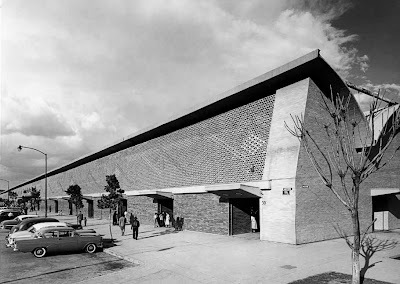 Even if no major figures like Mies, Gropius or Mendelsohn migrated to Mexico, Felix Candela from Spain, Max Cetto and Mathias Goeritz from Germany established their practices in Mexico and were instrumental in expanding some of the agendas of modern architecture at the time. This influence from European avant gardes happened both in term of ideas as much as in iconography and in the architectural language of international modernism. 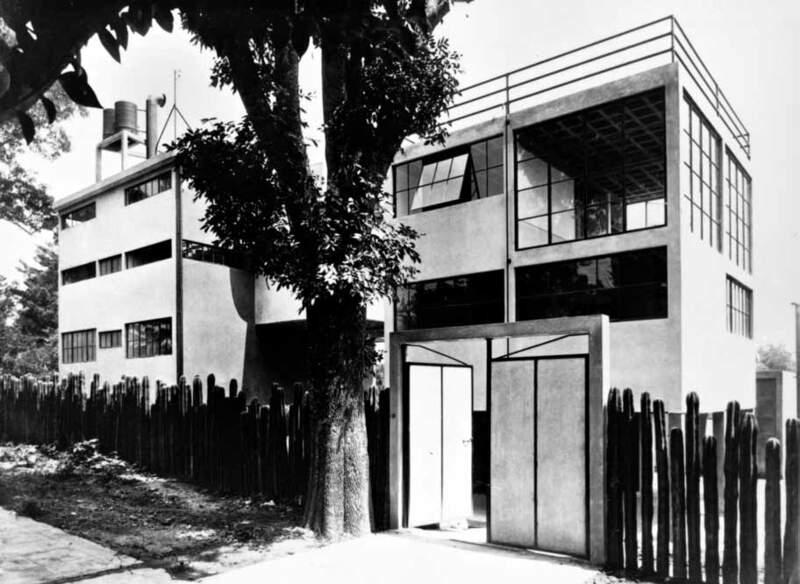 In this regard, Juan O’Gorman’s Rivera and Kahlo’s Houses are intelligent translations of Le Corbusier’s House for Amadee Ozenfant’s, Mario Pani’s scheme for the Presidente Aleman Housing Project is an adaptation of Le Corbusier’s Ville Radieuse. Augusto Alvarez’, Ramon Torres and Hector Velazquez’ facades are in a way a transformation of Mies investigations on the glass facade and the curtain wall. The views from outside also played a role in the mirror image of Mexican Architecture. 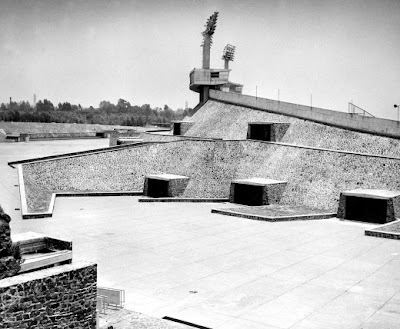 During the 1932 exhibition on the International Style at the Museum of Modern Art in New York City, curated by Phillip Johnson, Mexico had been conspicuously absent, but only a few years later, in 1937, Esther Born writes the first appreciation of Mexican architecture from a foreign perspective. First printed as an article for Architectural Record, and later expanded into a book: The New Architecture in Mexico, Born was the first to direct international attention to the rise of modern architecture in Mexico. Later surveys by Clive Bamford Smith and I.E. Myer’s would follow, as would a number of articles in European and North American journals. These foreign views played no minor role in establishing dialogues with foreign counterparts and in constructing a proto-canonical understanding of Mexican Architecture. 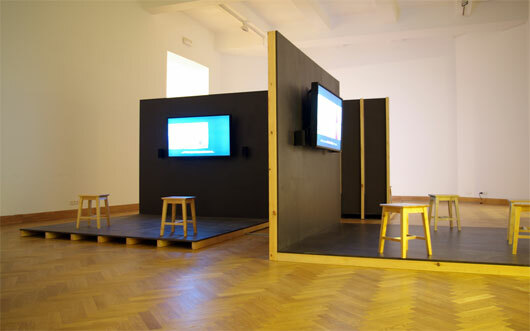 Less evident probably are the iconographic assimilations and even remote relationships between the work of the 1960s and 1970s with their European avant-gardes. Brutalism is present in some of the works by Alejandro Zohn and Teodoro González de León, who worked with Le Corbusier in the late 1950’s. 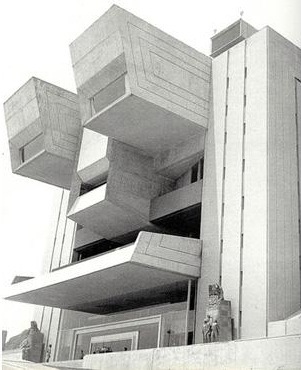 One could also find a distant relationship between Legorreta’s Camino Real Ixtapa Hotel and the megastructural fantasies of the 1960’s and 1970’s or even a metabolist tendency in the latter modernist work of people such as Agustin Hernandez. In spite of these translations and adaptations, there was simultaneously a trend to discover or construct an individual identity for Mexican architecture. This cultural ‘schizophrenia’ would take different forms, from self-doubt in architects, theorists and the public in general, to plain resistance, disenchantment and negation. 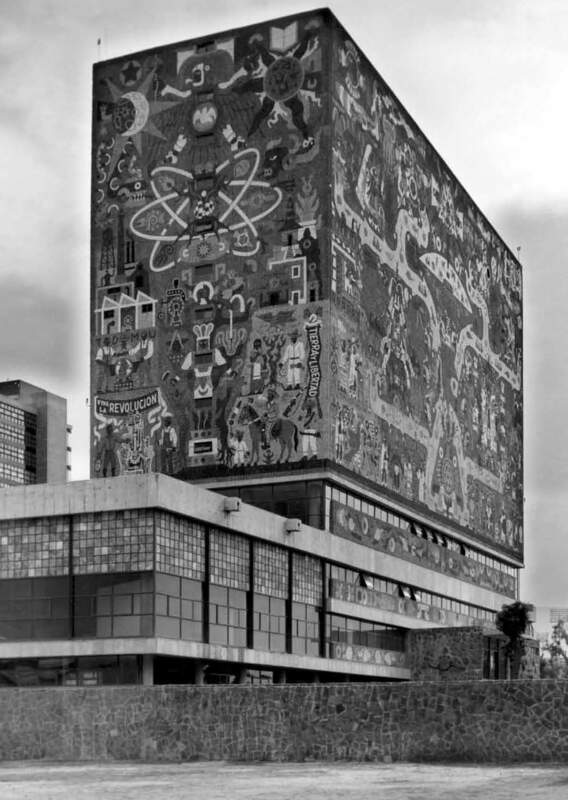 Even at the zenith of modern architecture in Mexico, as in the case of the design and construction of the National University Campus, there were conflicting views on the relevance and success of this conception of modernity. Max Cetto, when discussing the opinions (local and foreign) on the National University campus, pointed that what seemed problematic for multiple critics at the time was the fact that the project was either “too international, or not enough so”. Perhaps the most notable (and problematic) case for resistance and mediation in that project is that of artistic or plastic integration: the use of art -notably murals- incorporated into buildings usually addressing discourses on history, independence, nation and race. This use of figurative decoration was seen as a reaffirmation of the Mexican into the modern; as a way to make modern architecture legible to a wider audience. As Luis Carranza has pointed out, it was O’Gorman who most clearly represented the dissatisfaction with modern architecture and in just 25 years, shifted from the spare-down modern aesthetic of his early houses, to the mural-cladded ‘decorated box’ of the Central Library, and later on to a local organicism best represented by his own grotto-like house. Other retreats from the modern language took the form of a gaze to popular arts and crafts, pre-hispanic and colonial history. This awareness of indigenous shapes and formal strategies played an important role in the construction of a national architectural ideology. The frontons by Alberto T. Arai and the Olympic Stadium by Gomez Palacio, Bravo and Salinas, both in the National University Campus are indication of this line of work. In later decades, and in particular with the work of Luis Barragán and Ricardo Legorreta, a discourse on national identity would be constructed, which would present architecture as contextual, rather than international, emotional, rather than rational, evocative and figurative rather than abstract. From the early appreciations of Mexican modern architecture, local site conditions, whether light, landscape or vegetation, have been seen as defining features of the architecture of Mexico. 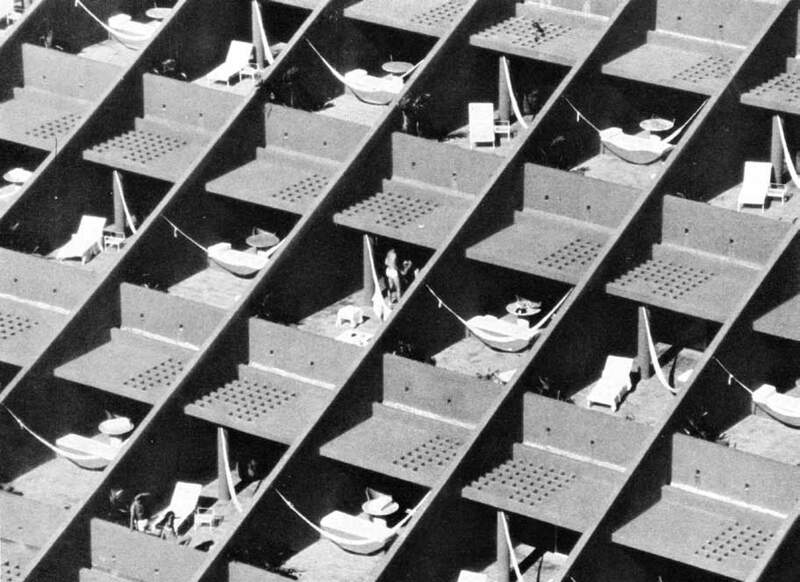 Clive Bamford Smith’s monograph of 5 Mexican architects (which showcased the work of Barragan, Candela, Goeritz, O’Gorman, and Pani) aptly titled Builders in the Sun, published in 1967, points to the relevance of light in constructing the ‘mexican character’ of this architecture, different from other modernities. Even a retroactive history was created in order to connect this interest in light and color in modern architecture with cultures like the Mayans and the Aztecs. 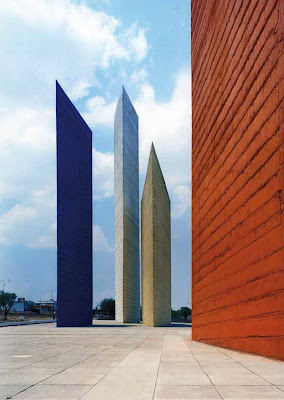 Maybe too much has been made of the interest in color in Mexican Architecture, specially since its appearance as a trait in local architecture happens much later, even in someone like Barragán. What is probably more relevant is the way in which color played a role sometimes as a strictly visual device and sometimes, as an active technique in configuring space. In a similar fashion, the landscape of volcanoes played an important role in the architecture of the time, whether in iconographic qualities by projects such as the Olympic Stadium or in the material ones, like many of the projects developed in El Pedregal. The lava-covered environment of El Pedregal, ‘developed’ by Barragán, facilitated a dramatic architecture, both residential and institutional, which produced an uncanny relationship with the ground, as is the case of some of the buildings in Ciudad Universitaria, but probably more so in Francisco Artigas Casa del Risco. Another variation on this topic is the way in which the exuberance in vegetation could be used to create a respite from the tensions of city living. Francisco Artigas’ own house in San Angel as well as Luis Barragán’s own house in Tacubaya, represent an interaction of buildings and gardens, where nature serves as counterpoint or even a subversion of the same architecture. Similar to the modern sensibility in Europe and North America, the metropolis is the site for the deployment of modern architectures. 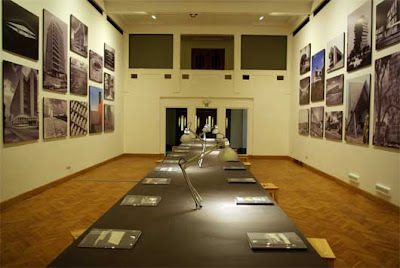 The predominance of buildings shown in this exhibition are located in Mexico City, something that can be explained by the fact that the 20th Century is also the century of Mexico City, when it doubled its population 4 times, when it grew from a town to a metropolis, and where modern culture was produced and consumed. Architecture played an important role in assuming this modern spirit during this boom. Henry Russell-Hitchcock’s exhibition on Latin American Architecture since 1945 at the MoMa, pointed that one of the defining aspects of the boom of modern architecture in the continent at the time was the rapid development of modern cities. Urban housing projects such as Mario Pani’s Presidente Aleman Housing and Tlatelolco in a way are radical approaches to the city, the former by imagining a new urbanity to counter the low-density low-rise suburbanism, and the latter by addressing at a very broad scale the possibility of modern urbanism. 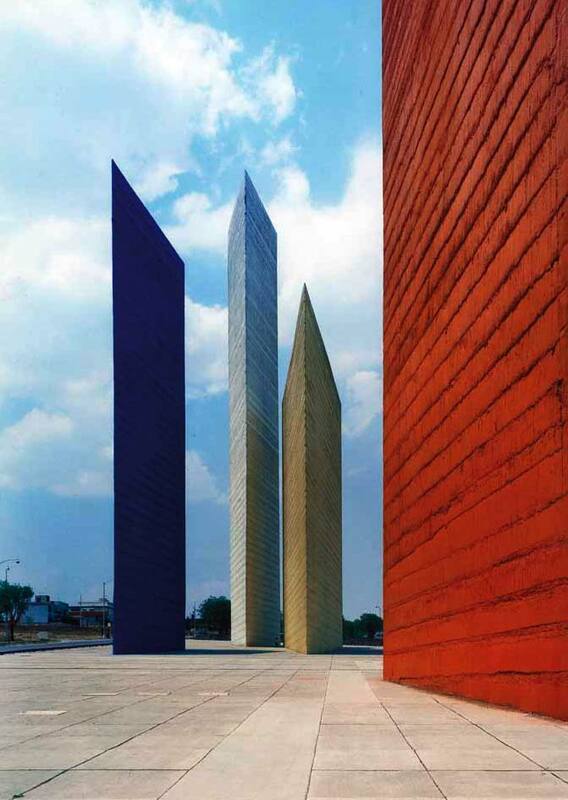 Other buildings such as the towers of Satelite by Barragán and Goeritz or even small projects such as the Banco del Valle de Mexico with its fluorescent billboard also by Augusto Alvarez, came to redefine the streetscape and skyline of a modern city. The post-revolutionary regime created a particular protocol for relationships between the private economic power and the role of the state in facilitating architectural production. Different from other latitudes where most of the modern architectural production was the result of strong public entities, the history of modern architecture in Mexico is a careful balance, and sometimes polemic intertwining between public and private commissions. 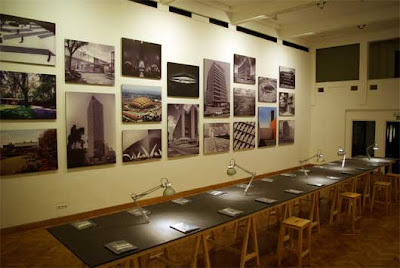 These protocols extended to architecture and can help explain the success and prolific production of architects like Mario Pani, who was able to understand very clearly the power and economic decision-making in the Mexico of the mid-20th century. The combination of social and political skills along with reasonable professional proficiency could mean the extensive realization of a body of work as well as formal and typological risk-taking that could only happen under a complex system of patronage. 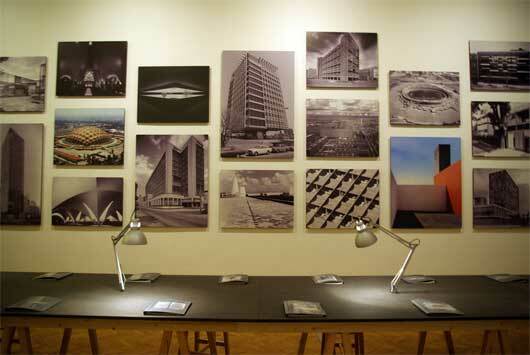 Hitchcock’s exhibition at the MoMa also argued as unique, the prolific production of buildings by Latin American architects, something different from the prevailing practices in United States and Europe. It’s also paradigmatic to see that quite a few of the works presented in the exhibition are a result of collaborations among architects. This condition not only goes against the grain of the ‘individual modern master’, such as the case of Mies, Gropius, Aalto or Le Corbusier, but also can be seen as an extension of a local tight-knit professional system that extends from education to social life. Probably more than in any other country, in Mexico the closeness of the professional elite engendered productive associations and trans-generation collaborations. These relationships extended from academia to practice, from friendships to affinities. Jose Villagran was not only teacher to a wide generation of architects during the mid-century, but later collaborated with some, including Ricardo Legorreta, the youngest of that generation of modern architects. Other such cases abounded, such as Barragán and Goeritz, Goeritz and Legorreta, Torres and Velazquez, Sordo Madaleno and Augusto Alvarez, or Pani and del Moral. 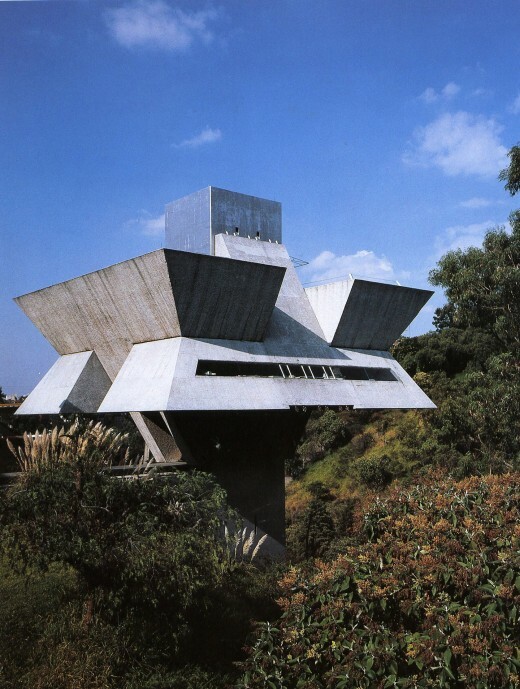 The final fragment I would like to argue concerns what I call the radical modern languages o Mexican architecture. From the early radical proto-functionalist buildings of the 1930’s to the late 1970’s projects, there seems to be an outcome in the formal languages that sometimes evoke strangeness, the grotesque, the monumental or the primitive. O’Gorman’s evolution and transformation in architectural language is testament to this. 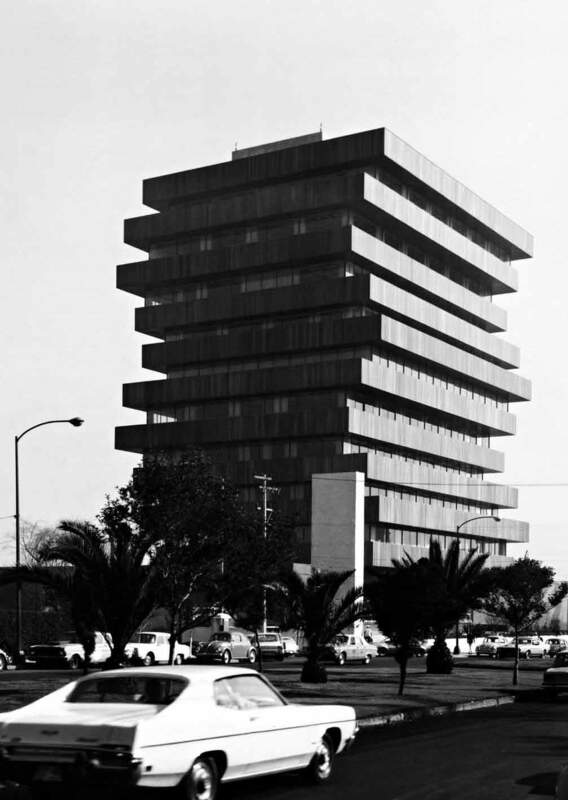 Juan Sordo Madaleno’s office building in Palmas with its dislocated slabs exude a peculiarity in the serene Palmas Boulevard where it sits and Ricardo Legorreta’s early Celanese Tower, with its suspended and spiraling slabs are also an oddity in their urban context. The condition of strangeness is also seen in specific residential projects. 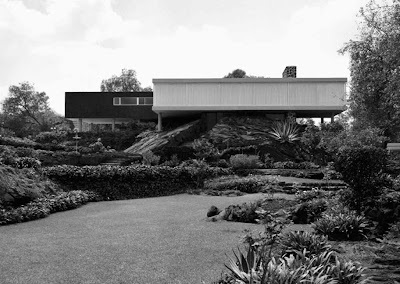 Francisco Artigas’ houses in El Pedregal and in San Angel expose the uncanny quality of abstract modernist boxes in strong site conditions whether a lava-covered foreign landscape or in a lush, almost tropical exuberant vegetation. In a way some of these houses deploy a radical domesticity, whether it is a house without a living room, as in Artigas’ San Angel home, or in a 500 square meter house for one inhabitant as in the case of Barragan’s house. The grotesque has also been part of the formal vocabulary of Mexican Architecture, a fact pointed out by Bruno Zevi when describing the relationship between the buildings and the murals at the National University Campus. This condition can be attributed to the constant dialectic between abstract forms and the expressionistic qualities of the buildings: from the extreme manipulation of scale to the expressionistic play on tectonics. The extreme shifts in scale in modern architecture in Mexico, cannot be understood as only related to Pre-Hispanic urban planning. They rather seem to echo the transformations taking place in the city and an affirmation of the power of the State. The radicalization of scale came to represent an ambitious agenda, like in the 13,000 housing-units project in Tlatelolco or in the Colegio Militar south of the city. Whether it is in the case for expressionism in the works of Gonzalez Gortazar, David Muñoz, Agustin Hernandez or certainly Candela, or a poetic quality as in the case of Legorreta, Barragán or Goeritz, a kind of ingenuity and spontaneity produce an uncanny trait of this buildings and objects in their setting. As much as their formal and tectonic qualities, it is probably as interesting a fact to see that they were actually built, fantastic architectures which would have probably stayed in the drafting tables in other places.